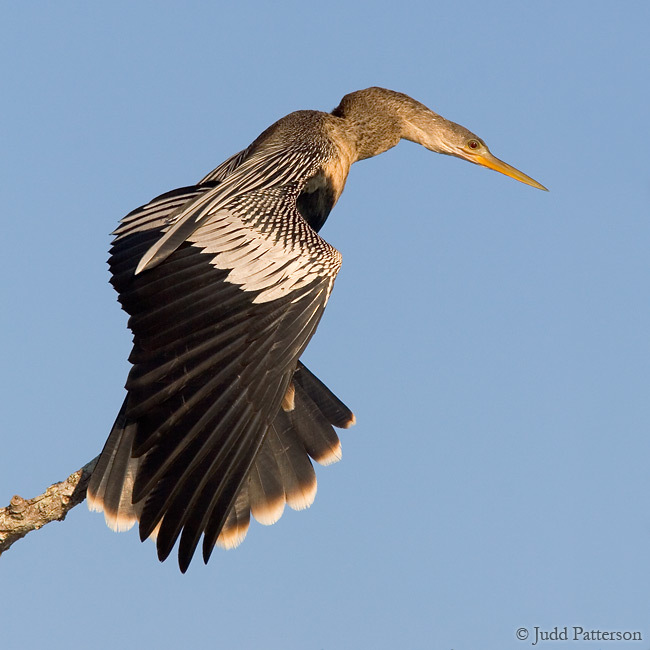 Notes: This bird is sometimes referred to as a Snake Bird or a Water Turkey. The first name refers to its swimming abilities underwater and its tendancy to surface with just the slender neck showing. The second name refers to the tail feathers that are very similar in appearance to a Wild Turkey.